Ruben Urrea Moreno is a self-taught painter, muralist, and illustrator. His work has exhibited in Los Angeles, New York City, San Diego, Seattle, Phoenix, and Mexico. His art is also part of the El Paso Museum of Art’s permanent collection. Mexican folk art and the Tree of Life inspired this creation. 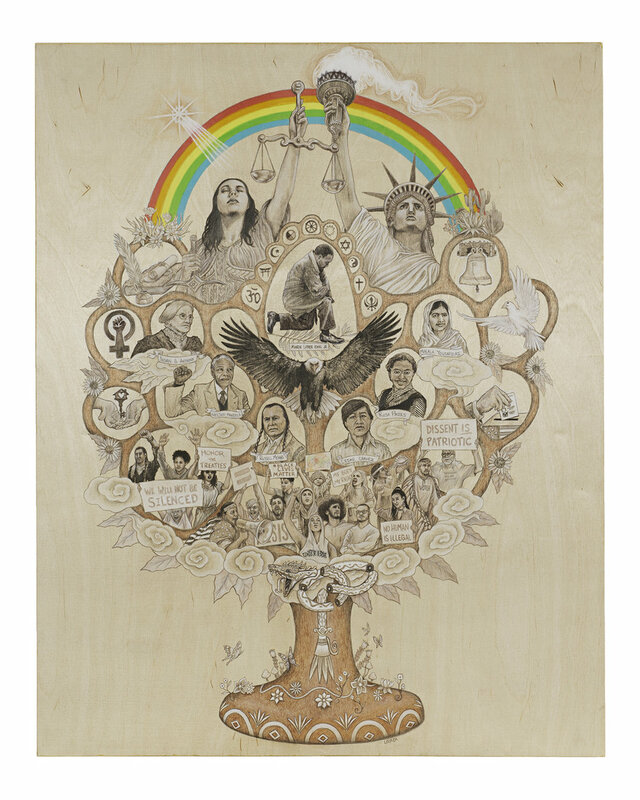 “The Tree of Civil Liberties” infuses symbolic placeholders for freedom, democracy, peace and justice. Size: 44" H x 35" W x 1-1/12"